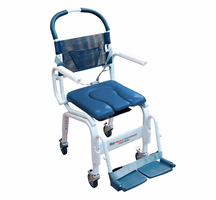 MedicalProductsDirect.com:shower chairs, transfer benches, wheelchairs, curtain track, hospital beds and more. In-Motion Long Term Ergonomic Spring-Assisted Forearm Crutch Tall Fits 4'10" to 6'3", one pair. We are a family run business established in Oklahoma City in 2002. If you call, you get one of our employees on the phone, not an order taking center in some other country. We have knowledgeable customer service staff that knows our products and understands our customers. We have had no complaints with the BBB and we are listed on Duns & Bradstreet. We have a long and stable history and we will be here when you need us. 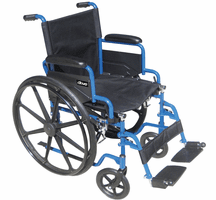 We carry over 5000 different medical, mobility and related products. Most items ship directly from the manufactures warehouse the same day they are ordered and in most cases delivered in 3-5 business days. We carry several product lines of unique or hard to find items such as "Bariatric Products" for larger than average users, "MRI Equipment" for use in MRI rooms and "Hospital Curtain Track" just to name a couple. If you have any questions for concerns please give us a call at 1-800-804-9549, we will do our best to help.